Glamour is yours for the taking with this show-stopping necklace. 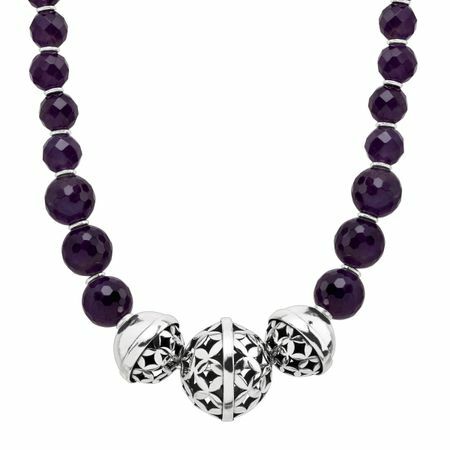 Boasting 80 ct of natural amethysts, alternating cut-out sterling silver beads create an intricate pattern. Feature piece measures 13/16 by 1 7/8 inches. Necklace measures 18 inches long, plus a 2-inch extender for adjustable length, and features a lobster clasp. Piece comes with a “.925” sterling silver quality stamp as a symbol of guaranteed product quality.